Entdecken Sie Australien mit unserem Spezialthema. 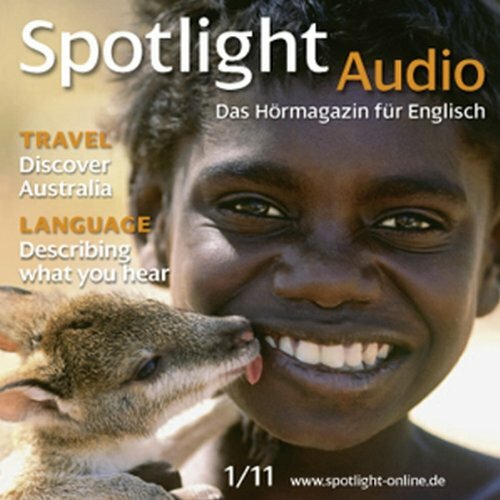 Auf der Reise, die uns von der Geschichte der Aboriginals bis zum modernen Alltag führt, können Sie Muttersprachler von "Down Under" im O-Ton hören. Discover Australia: Our four-track focus on Australia presents essential facts about the country, explores the importance of Aboriginal beliefs, and looks at the quality of life in the country today. The Language of Description: Listen closely! Can you describe what you hear? A dramatic story and dialogue will help you learn to describe sounds and different tones of voice. You can test yourself with a quiz, too. History: The famous English author Rudyard Kipling died 75 years ago, in January 1936. Enjoy one of his most inspiring poems, called "If--", and learn about his life in an excerpt from the article "Rudyard Kipling: Voice of the British Empire". This month, you'll hear native speakers from Australia, the United States, Canada and India, as well as regional accents from around Britain.